All homes currently listed for sale in the zip code 90034 as of 04/18/2019 are shown below. You can change the search criteria at any time by pressing the 'Change Search' button below. "Exquisite, brand new construction with stunning indoor/outdoor living space in desirable Beverlywood community moments from Beverly Hills, Rodeo Dr. shopping and dining. Designed with incredible attention to detail this home features a bright and spacious open floor plan seamlessly combining the indoor and outdoor living areas, including a gourmet kitchen equipped with Wolf appliances, Fleetwood pocket sliding doors leading to the private entertainer's backyard. Pool Planned and ready to go. This six-bedroom home includes a basement theatre, master suite with a fireplace, private patios, and master bath leading to a large walk in closet. Additional highlights include high ceilings, expansive balconies and Smart Lutron system." "World class finishes accentuate the magnificent flow of this masterpiece! Brand new construction 2019 with top of the line materials & craftsmanship. Wonderful open floor plan with dining area, wet bar, living room/family room, great room with pocket doors to the private yard. Wine display, office, and heated master bathroom floors. Each room flows seamlessly into one another and, are boasting beautiful flooring throughout. The custom kitchen has custom counters and top of the line stainless steel appliances. Tasteful bathrooms with custom designer touches. Master bedroom deck, Alexa Voice activated smart home, security cameras, surround speakers and much, much more, heated pool & spa, with deck jets and waterfall feature. Please inquire if you would like to buy the home furnished." "Prime highly desirable Beverlywood Street location. First time on the market in over 60 years ! Large lot for building your dream home or remodeling. Excellent development opportunity ! Property being sold AS-IS. No repairs or credits will be considered." "Gorgeous newly rebuilt traditional home on a tree-lined street in Beverlywood HOA. Meticulously crafted, stunning 5-bed, 4.5 bath home is an absolute must-see! Step through the custom wood front door & be greeted with 10 ft ceilings and wide plank oak flooring. The gourmet Kosher Kitchen has it all featuring top of line stainless steel appliances including 48 Viking Range, oversized island with Calcutta marble countertop, Butler's pantry, prep area, and custom cabinets. Large French doors surround a private, spacious courtyard area which is perfect for indoor/outdoor entertaining. The master suite is crafted w/ stylish TNG paneling on the vaulted ceiling and master bath provides a spa-like experience w freestanding tub. All bathrooms showcase designer fixtures and finishes including marble and encaustic tile. Smart home features include lighting zones, built-in sound system, surround sound, and alarm. Moments from Pico Blvd, restaurants, coffee shops, and Robertson Development." "Completed in 2019 with the finest of finishes, this breathtaking home perfectly blends Traditional warmth and comfort with chic contemporary style living. Boasting a spacious open floorplan that seamlessly flows from each room the moment you enter. The gourmet kitchen provides state-of-the-art appliances, abundant glass embellished cabinetry and an oversized quartz island which opens to the grand living room flooded with natural light from sliding walls of glass that lead to the expansive outdoor space. The second story features an envious master suite complete with a spacious walk-in closet, tremendous stone tiled balcony overlooking the lush rear yard and spa-like bath with soaking tub and stunning glass-encased shower. Three additional generous sized guest bedrooms are complete with perfectly appointed en-suite baths and views from the Santa Monica Mountains to the lights of Century City. An impressive and meticulously crafted home in the heart of Westside Village!" "Welcome to this stunning 5 bed 3.5 bath home in prime Beverlywood! This home was extensively remodeled from the foundation up and was completed in 2010. With an open floor plan and huge yard, this home is ideal for entertaining. Entry level includes chef's kitchen, office/media room, two bedrooms, a full bathroom and powder room. Upper level consists of an expansive master suite with walk in closet, gorgeous bathroom, and a huge balcony overlooking the back yard along with two additional bedrooms and full bathroom. Beautifully custom designed with hardwood floors throughout and exceptional taste, make this home a true gem. Close distance to two amazing parks, Beverly Hills, Century City and so much more." "Customized with tastefully enhanced attention to detail. Traditional East Coast inspired, 2 story, 5 bedrooms & 5.5 baths. Great floor plan, volume ceilings and open flow for entertaining with fabulous natural light and lots of windows. Downstairs has an inviting guest suite which can double as an office. Every bedroom has its own bathroom and walk in closet. Rear facing master suite with vaulted ceiling and balcony is spot on to exceed your expectation. Central air conditioning, 2 fireplaces, wide plank engineered oak wood floors, loads of wainscoting and crown molding. Lovely private yard with BBQ pavilion. Located on one of the best streets in Westside Village in the much-desired Clover Ave School area. Super convenient location, close to everything, yet quiet and private to feel like you are miles away. The new zoning won't allow duplicating this house on same sized lot. Nothing here not to love!" "Newly listed! Approximately 3001 SF, 2 story, 4 bedroom, 2 1/2 bath home with large open kitchen and game room. Built in 1991 and upgraded in the 2010's featuring a semi-private courtyard entrance and 2 car garage! Previously Licensed 12 bed Ambulatory Residential Care Facility." "Developer's dream in desirable Beverlywood! Large corner lot just beckoning for you to come build a fabulous home to take advantage of the city views. Development opportunities in this neighborhood do not come around often, so don't miss out." "It's got spectacular views. Use your imagination to restore this split-level home with 3 bedrooms, family room and 2 bathrooms, or build new. Recent sales in the Beverlywood area exceed $5 million so there is lots of potential here to go either way. Quiet street convenient to Robertson Blvd. with easy access to downtown Culver City, Beverly Hills and Metro." "Urban Suburban! One usually begins their remarks with the house but in this case, the yard is a feast for the eyes with lots of room for play for those of all ages - great to entertain because the size of the yard is completely unexpected. The fruit trees, herb garden and fragrant roses complement the enormous yard. Ideal for al fresco dining and garden parties, with room for a pool! The home's flow revolves around the gourmet kitchen with large island, custom finishes, and top of the line appliances, which will make any chef relish the chance to create their favorite dish!The large master ensuite has a deck off the bedroom. 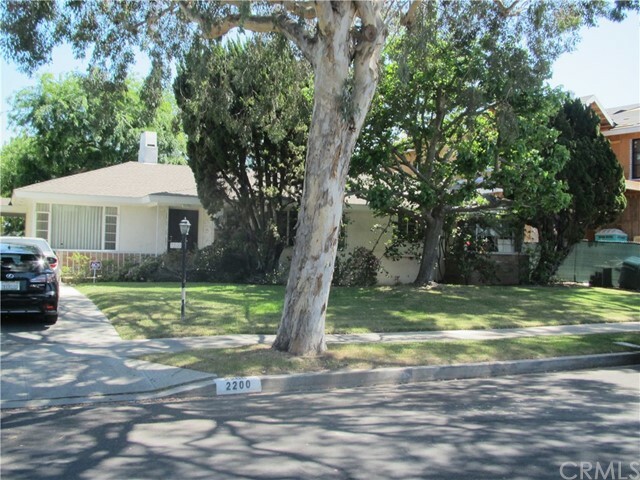 Wonderful, tree-lined street in a great neighborhood with renowned schools. Very few homes come on the market in this pocket of Westside Village, so hurry!!" "Rare opportunity! Bedford is an ideal investment for the owner occupant or investor/developer. Live in the main house now, while 3 rental units support the mortgage. Develop the property later. An original home in sought after neighborhood, surrounded with multimillion dollar re-developed properties. Minutes away from LA s best; world class shopping on Rodeo Drive, Beverly Center, the Original Farmers Market, and the nightlife of West Hollywood. The subject property offers a comfortable single level, detached house, with a full finished basement. The house was originally a 3 bed, 2 bath. It is currently a two bedroom home with an extra-large master bedroom but could be converted back to a 3 bedroom home. Beneath the house is a finished basement that can be used for storage, man cave, gym, office, etc. Through the courtyard in back of the main house is a second building which consists of 3 rental units. Two of the units are located above the garage. They are one bedroom, one bath units, with a kitchen and living room. There is a 3rd non-conforming studio unit located on the bottom floor. A community laundry room, and 3 garages complete the building. Attractions include: DTCulver City, Expo Line/Ivy Station, Helms, & 10 Freeway with fast access to Santa Monica, Hollywood, DTLA, Beverly Hills and LAX. Perfect Location with the best of LA at your fingertips." "Set just behind large, privacy hedges this 3 bed, 3 bath Mediterranean Oasis is a study in modern Cheviot Hills luxury. Upon entering the residence you will be immediately drawn to the open floor plan, including accordion doors that lead to your own private backyard retreat. Features of this home include recently installed wide plank hardwood floors, marble counter-tops, stainless steel appliances, fireplace and central A/C. The master bedroom will leave you wanting to spend the morning in bed with floor to ceiling slider doors leading directly to your own private oasis. This home additionally boasts two well appointed secondary bedrooms. Prepare to be wowed as the backyard will make you feel as though you are on vacation everyday. This 7500 square foot lot, comes complete with all the amenities you could ask for including a pool, hot tub, fire pit and tons of seating areas. Other upgrades include custom stonework, masonry, landscaping and large motor court." "3533 Tuller Ave, nestled N of Venice Blvd on private cul-de-sac in LA's coveted Palms/Mar Vista area, is a large 2600+ sq ft modern luxury home built in 2012. Designed with clean lines, offering an array of amenities for the most discerning buyer incl rooftop solar panels, newly done floors throughout, open floorplan, high ceilings & abundance of natural light. An incredible chef's kitchen is highlighted by stainless steel appliances, breakfast bar & plenty of cabinet space. Spacious dining area gives access to masterfully done yard with full built-in kitchen incl bbq, burner, mini fridge & sink; plus tons of seating space & beautiful fruit trees. 1 bed/office + 1 full bath sit on main floor off the direct entry from 2-car garage with extra overhead storage. The 2nd floor has 3 oversized bedrooms with new ceiling fans, skylights, and 2 full baths. Large master suite features bath complete with skylights & walk-in closet. Enjoy completely what Westside has to offer with this ideal home." 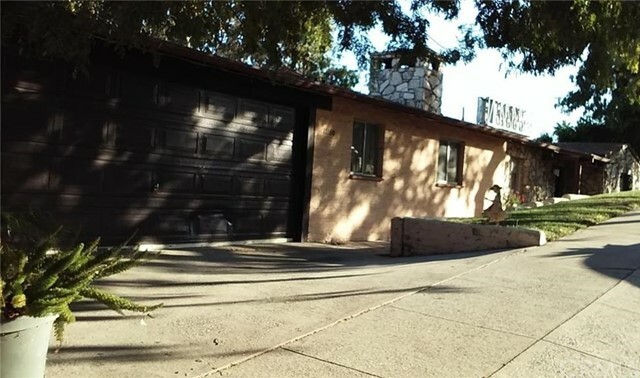 "In the heart of Los Angeles in Faircrest Heights is your dream home! You are greeted to a newly renovated 3 bedrooms 2.5 baths property offering an open concept floor plan and upgrades throughout. ; large planked laminate flooring and a formal living room with an ample amount of natural sunlight. Modern kitchen, quartz counter tops, peninsula eat-in kitchen, and stainless steel appliances. Gorgeous modern design, chrome fixtures and finishes, new plumbing, electrical, HVAC, a tank-less water heater, and brand new windows. Beautifully sized master bedroom with a walk in closet and double french doors leading you to the en-suite deck and grassy back yard. Master bathroom w/ dual vanity sink, make-up section, drop in soaker tub, and shower system. Huge open yard customized with a patio perfect for entertaining, a citrus tree, and a luscious landscaped grassy backyard! Updated 2-car garage can also be great for an office or studio. Hurry will not last!" "Enchanting Westside modern home with original details has over 2000 square feet and is Zoned RD2. The sun-drenched great room with recessed lighting, bar, wine refrigerator and dining area welcomes you to a charming serene retreat in the heart of the City. The spacious master bedroom has a private bath with double sinks. Two addt'l bedrooms share a bath with shower and freestanding tub. Upstairs is a magical loft which offers abundant choices for bedroom, gameroom w/secret room, or office. The kitchen has generous counter space and breakfast nook leading you to a private oasis with hot tub, fire pit and deck perfect for gathering with family and friends and enjoying the mild Coastal SoCal weather. An additional studio offers more space for entertaining or office. There is lots of storage space for bikes, etc. This amazing gem is convenient to the metro rail, SM, Culver City, Westside and the Beach. This home offers a warm and comfortable lifestyle with endless possibilities." "Beautiful 2 Units in the West Los Angeles, one has 2 bedrooms and 1 Bathroom spacious leaving room and dining room comfortable kitchen with a breakfast area all rooms have wood floors kitchen has linoleum the other has 1 bedroom and 1 bathroom nice kitchen,all floors are wood, Large backyard with amenities, fruit trees, it has a bonus room that it has been used for storage, you have to see it, parking for 5 cars. You are only 10 minutes away from either THE Santa Monica Beach or Downtown LA, and 5 minutes away from Culver City, Century City, Beverly Hills and West Hollywood. Come by and take a look!" 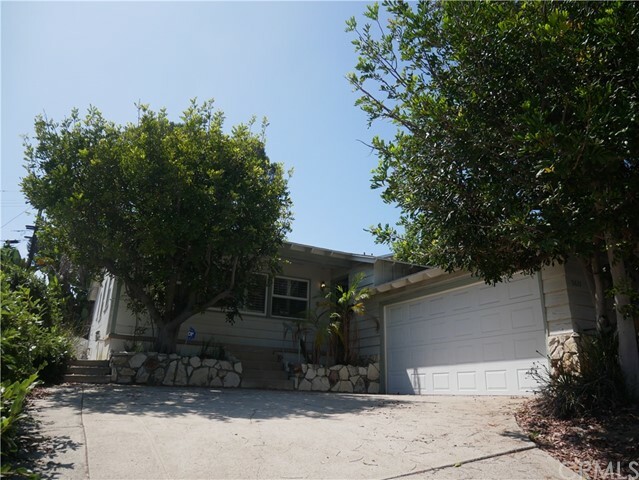 "In the heart of paradise, this 3 bedroom, 2 bathroom West LA ranch-style home offers an ideal location - minutes away from Venice, Santa Monica and other local amenities! The bright hardwood flooring is the first thing you ll notice when you enter into the spacious and light-filled living room along with a formal dining area and aesthetically-pleasing rock wall. In the kitchen, there s plenty of cabinetry and counter space with a naturally lit space that opens up to the backyard through white parlor doors. The private backyard offers more than just an intimate sitting area for friends and family, but also provides a scenic atmosphere filled with palm trees, fruit trees, and growing vines. The Master bedroom is furnished with a decorated fireplace and bookshelf. Both additional bedrooms are spacious with a convenient shared bathroom location. Don t miss out on the chance to secure the perfect balance of location, style, and comfort - this is a must see!" 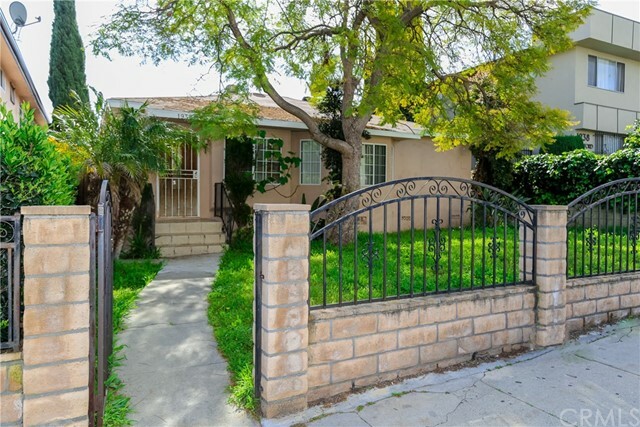 "Fabulous BEVERLYWOOD area location! Bright, warm, uplifting and move in ready with plenty of potential to add on. This updated 2 bedroom, 1.5 baths home features an Immaculate hardwood floor living room with fireplace, magnificent remodeled kitchen featuring Cambria Quartz Countertops, LG and Bosch appliances, updated master bath and much more. The house also has a new HVAC system, new ducting and insulation, custom closets and built-ins, and a beautiful living room fireplace. The expansive outdoor space features a stunning newly remodeled pool and hot tub surrounded by a bluestone patio with child protective fencing. There is also a great two car garage and outdoor seating/play areas. 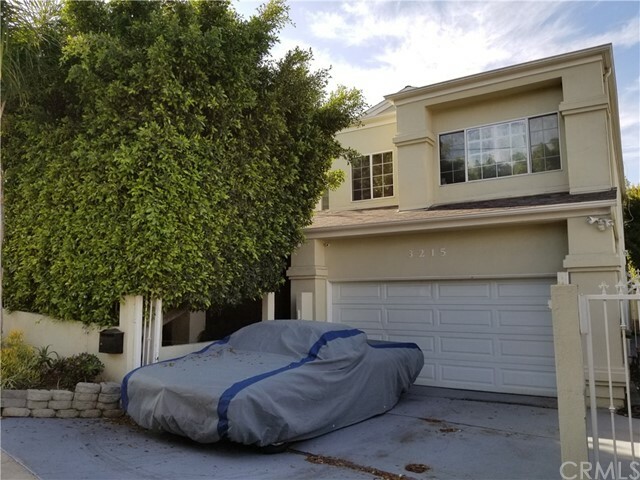 Located in the popular Castle Heights School District with close proximity to Robertson, Pico, and La Cienega, yet quiet and secluded from major streets. A definite must see gem!" "Looking for something trendy and hip? Need help with the mortgage? This beautiful Beverlywood adjacent home is your winning ticket! Desert landscape greets you as you walk to the front door. Step inside and find an open concept living space w/a bright and sunny living & dining room w/original wood flooring & a remodeled kitchen w/stainless appliances, newer cabinets and granite counters. The den/bonus room is a perfect reading nook, playroom or home office and opens to a beautiful wood deck.There are two spacious bedrooms w/large closets, laminate floors and ceiling fans. The home also features newer central heat/AC, updated electric service, PEX plumbing and foundation upgrades done in 2015. Help cover your payments with the with the rear studio unit (legal duplex) which has updated kitchen, bath and flooring. The backyard is a true delight w/a covered patio area as well as a grassy area for pets or play. A long gated driveway leads to a 2 car garage with attached storage room." 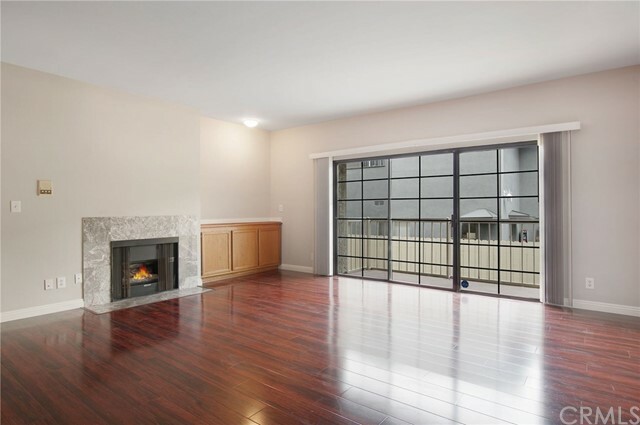 "Beautifully remodeled private 2+2 condo near Downtown Culver City. 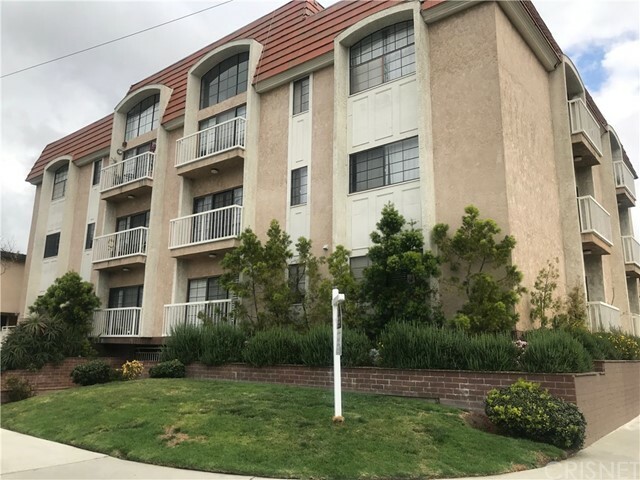 This spacious corner unit features: an open living/dining layout, large master suite, remodeled kitchen and baths, wood floors throughout, inside laundry and 2 balconies. Located in a well maintained lush courtyard complex with spa and BBQ. Secure building and community garage with 2 tandem spaces and extra storage. Easy access to the metro lines and shops/eateries all around!" "Beautiful move-in ready Palms area condo with many upgrades. This condominium features bamboo floors with plush carpet in the bedrooms. The fully remodeled Kitchen is equipped with custom cabinets and granite counter-tops. Pennant kitchen counter-top lighting and recess lighting throughout the unit. you definitely enjoy 2 remodeled bathrooms with stone counter-tops, upgraded fixtures and tastefully done tile showers. Master Bed has a lighted ceiling fan and additional recessed lighting, generous closet space with mirrored doors. Custom fit plantation shutters in living as well as bedrooms blending nicely with all the crown molding. Must see for yourself." "Located on a quiet street in prime location, this condo on the first level is one of 12 units. It has open floor plan and offers a lot of updated features including new floor tiles in the kitchen with granite counter top, new floor tiles in both bathrooms with new vanities, newer hardwood floor in living room and bedrooms and fresh paint. The spacious living room has gas fireplace and extra wide sliding door that leads to a private balcony. The large master features en-suite bathroom and sliding mirror-door closet. The second bedroom also has mirrored closet doors. Unit includes washer and dryer hook-up inside and two tandem parking spaces and guest parking inside the gate. Elevator access from the garage to the unit. 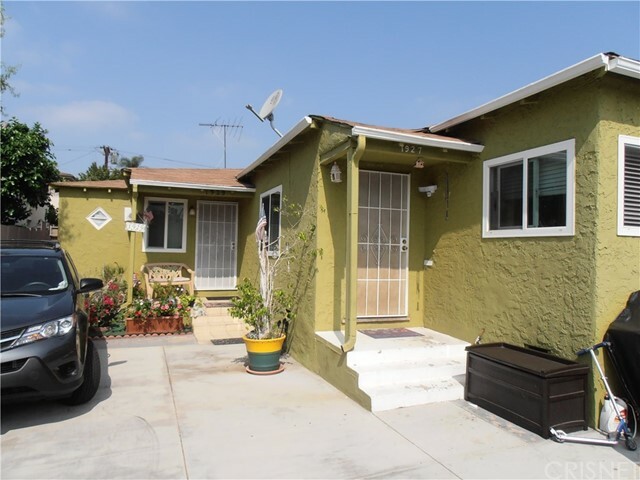 Property is located blocks from Downtown Culver City and Expo Line Palm Station. Also easy access to the 10 and 405 freeways."